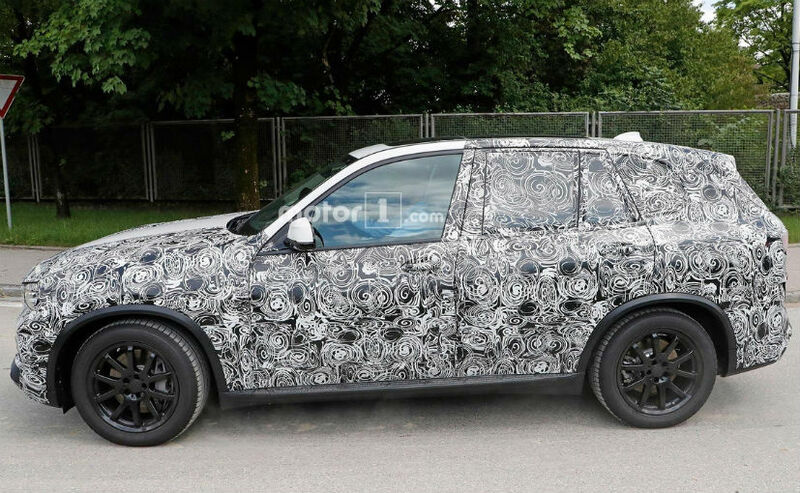 A near production test mule of the next-generation BMW X5 SUV was recently spotted testing. 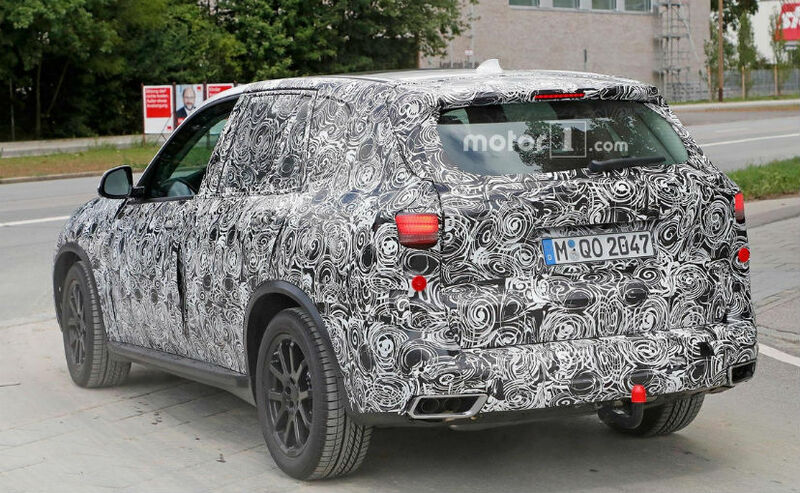 Draped heavily in camouflage, the prototype X5 was seen with few production parts including the new LED headlamps. The unit appears to have taken inspiration from the new-gen BMW 5 Series sedan with the sharp-edged LED daytime running lights and the cluster design. At the same time, the overall appearance of the SUV is a bit similar to the upcoming BMW X7, the Bavarian carmaker’s next flagship model. Similar to the new-gen BMW 5 Series and 7 Series sedans, the upcoming X5 SUV is also built on the company’s CLAR platform, short for cluster architecture. This is the same light-weight design architecture that also underpins the new-generation Rolls Royce Phantom. This means that the new BMW X5 will lose serious weight despite its increased size which will also boost the driving performance. It is too soon to comment on the visual appearance of the new X5, especially when the new styling bits are well hidden under all that camouflage. Anyhow, the silhouette of the SUV does appear to be a lot similar to the X7, just slightly smaller. Up front, the X5 comes with BMW’s signature kidney grille in black chrome, large air intakes and black multi-spoke alloy wheels as well. The new X5 will also come with a large panoramic roof with electric sunroof and LED tail lamps. Powertrain options are still unknown but considering that fact that the X5 is based on the CLAR platform, it will be compatible with BMW’s latest engine range that includes the four-cylinder unit with plug-in hybrid tech to a bi-turbo V12. An M variant would likely use the upcoming M5’s 4.4-liter bi-turbo V8. 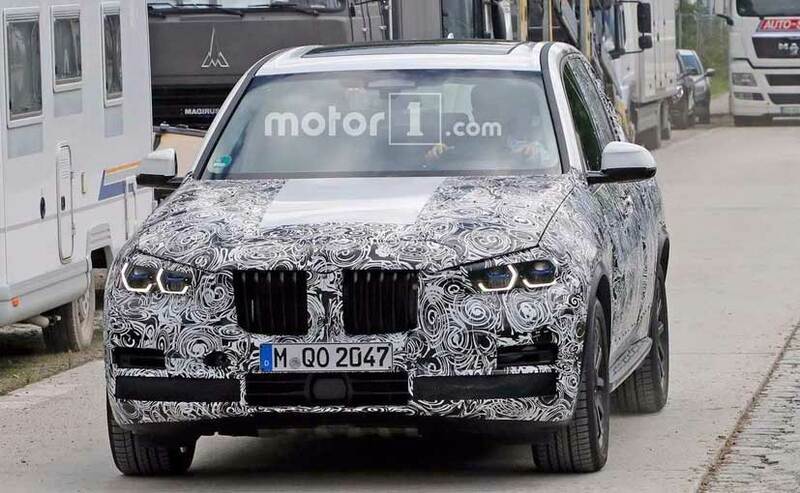 Considering the X5 is still pretty much in the testing stage, BMW won’t be ready for a public debut any time before 2018. We expect the new-gen BMW X5 to make a world premiere at either the next LA Auto Show or directly at the 2018 Geneva Motor Show.